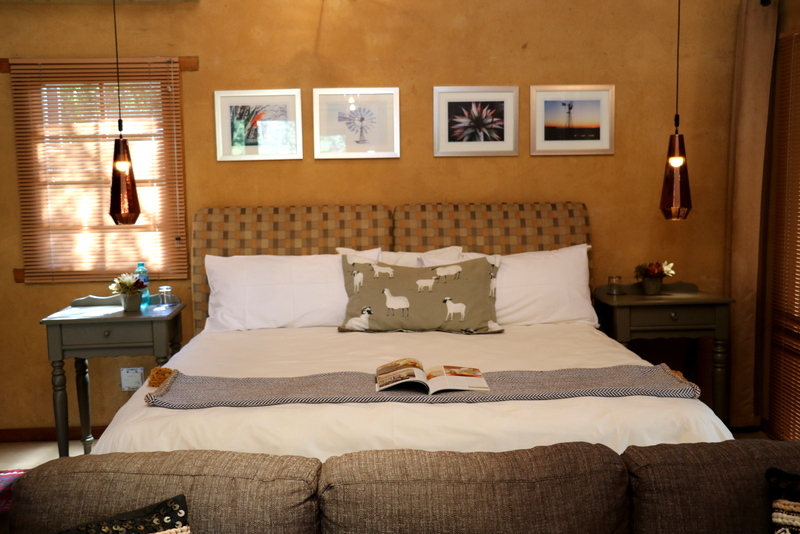 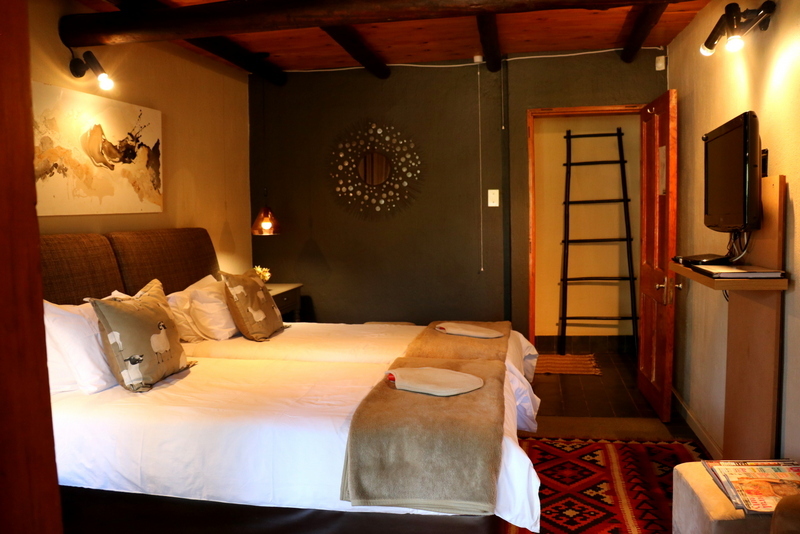 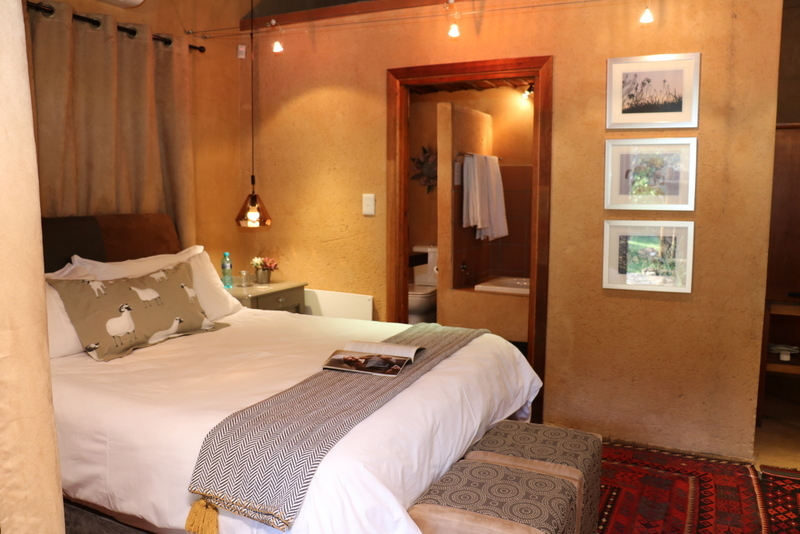 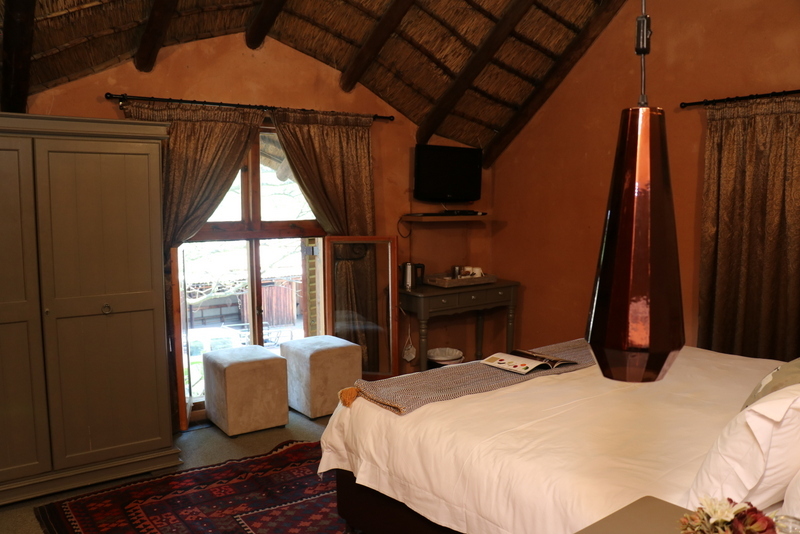 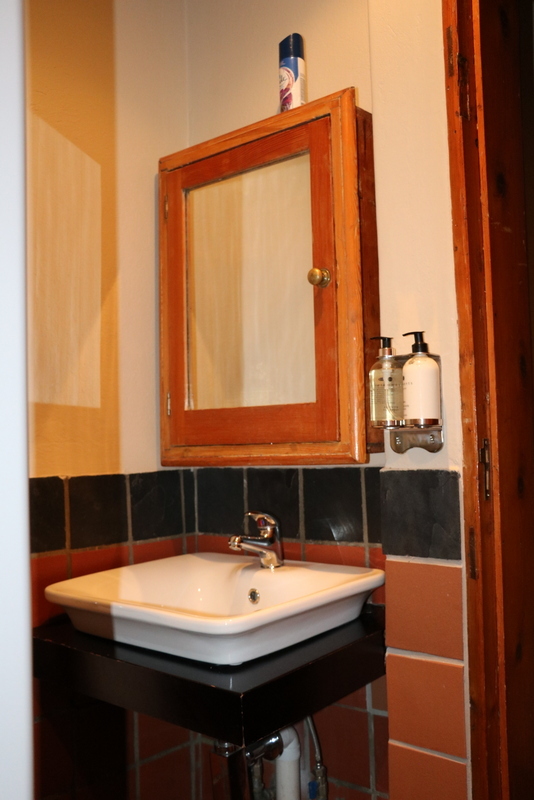 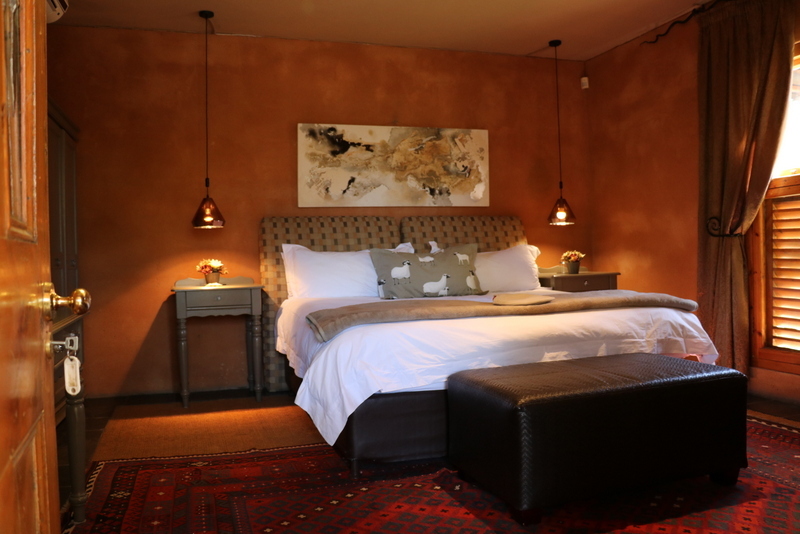 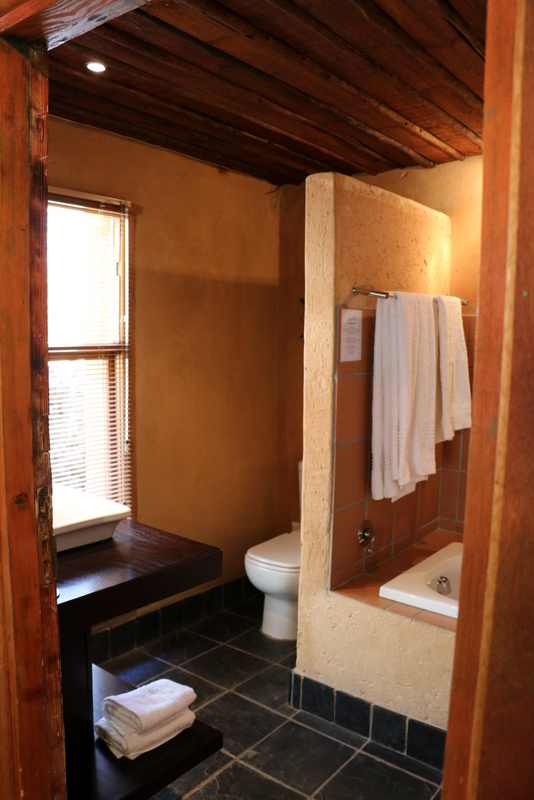 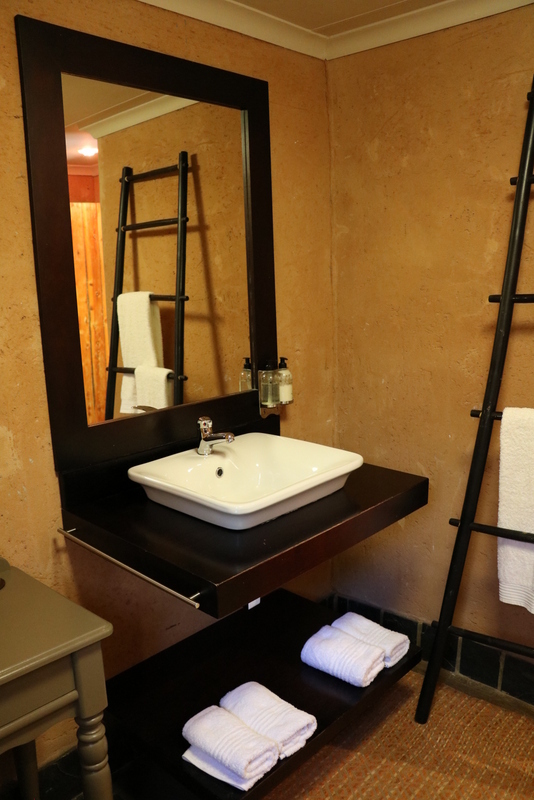 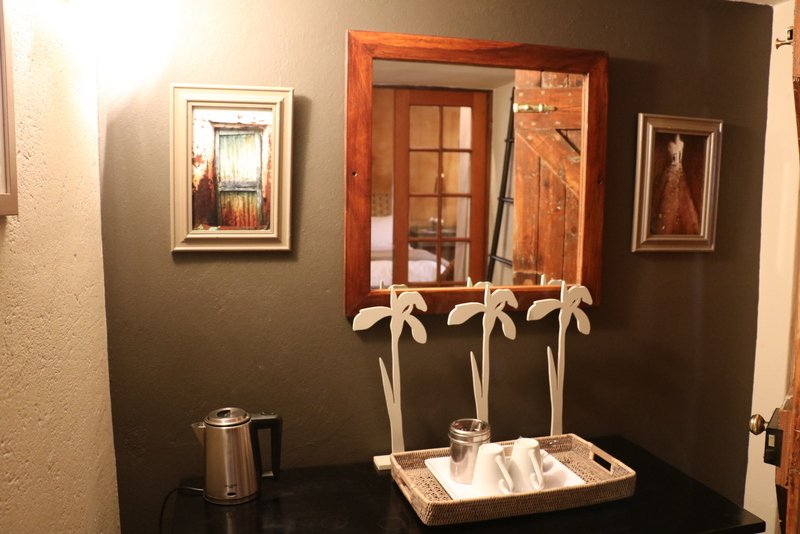 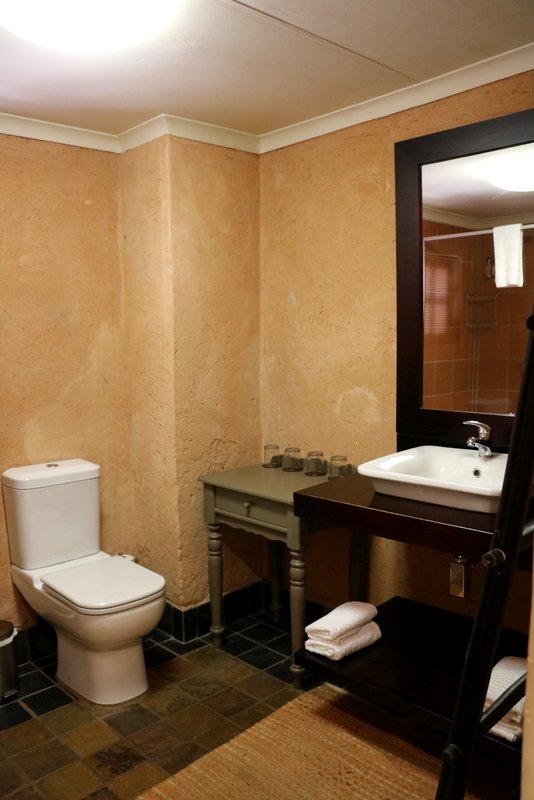 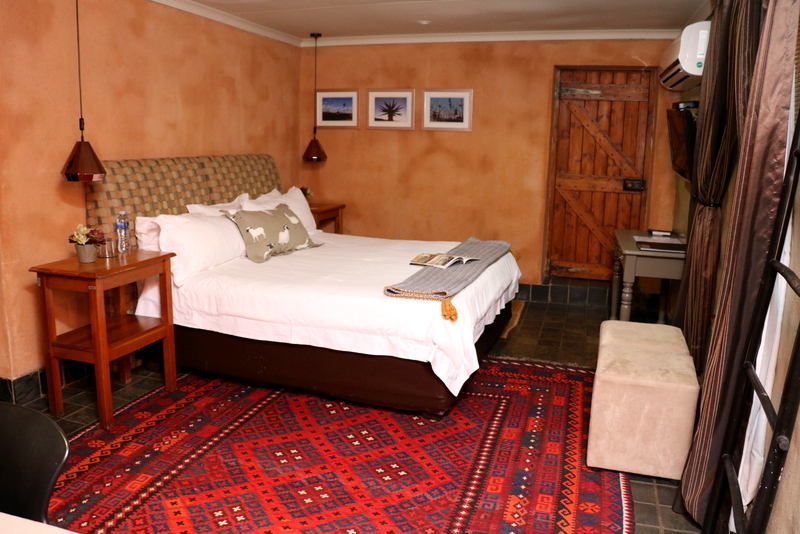 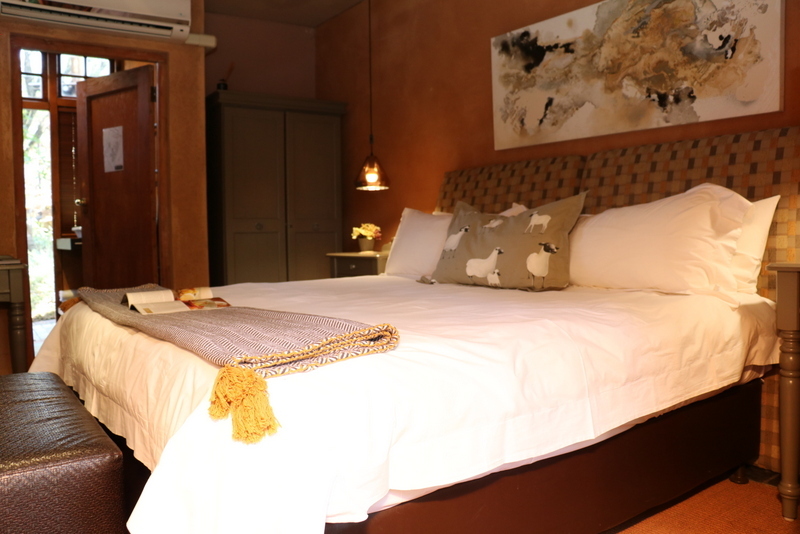 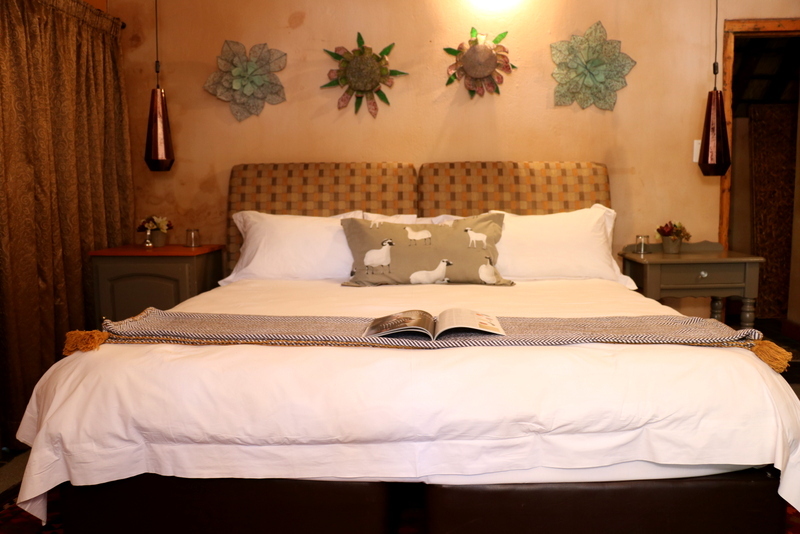 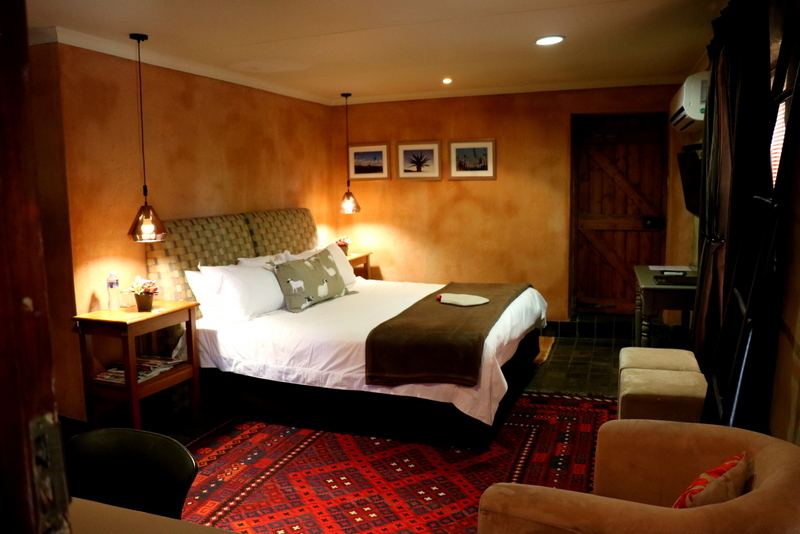 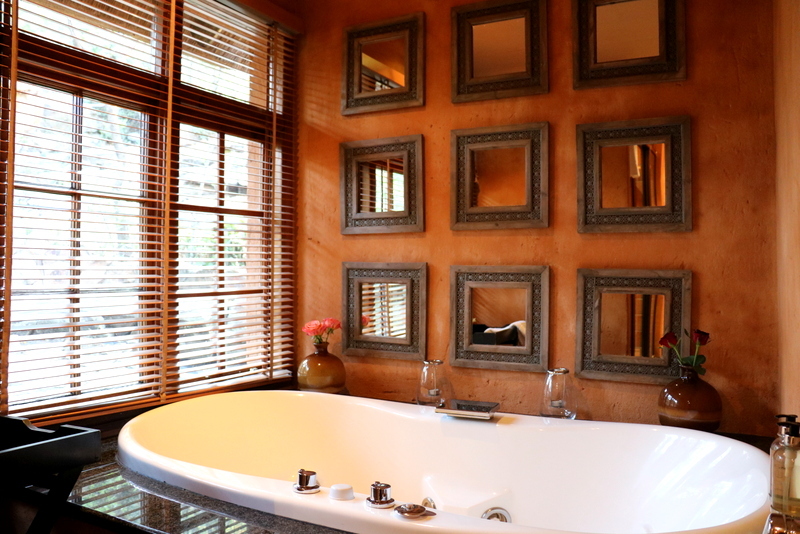 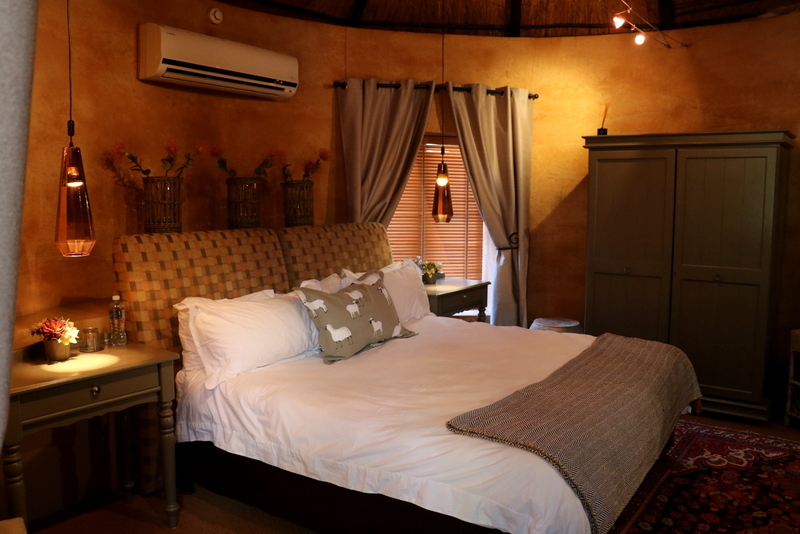 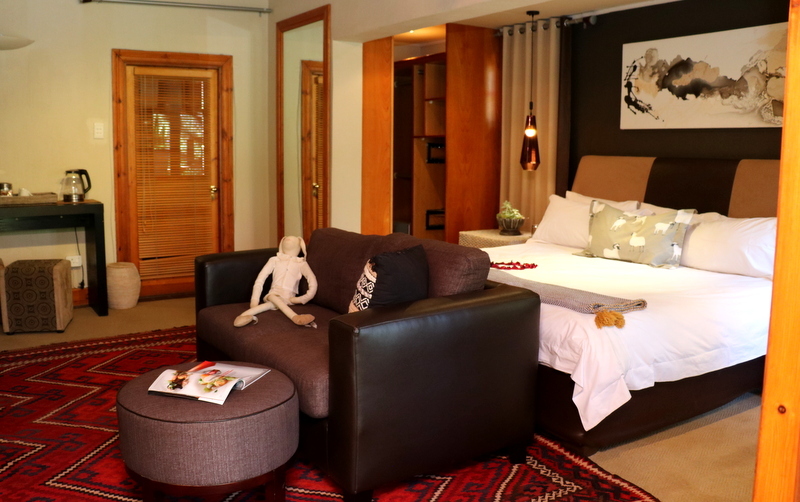 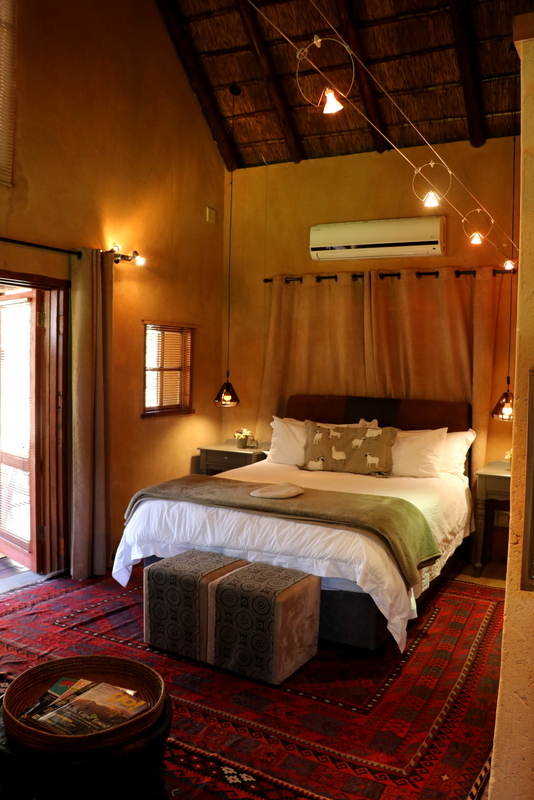 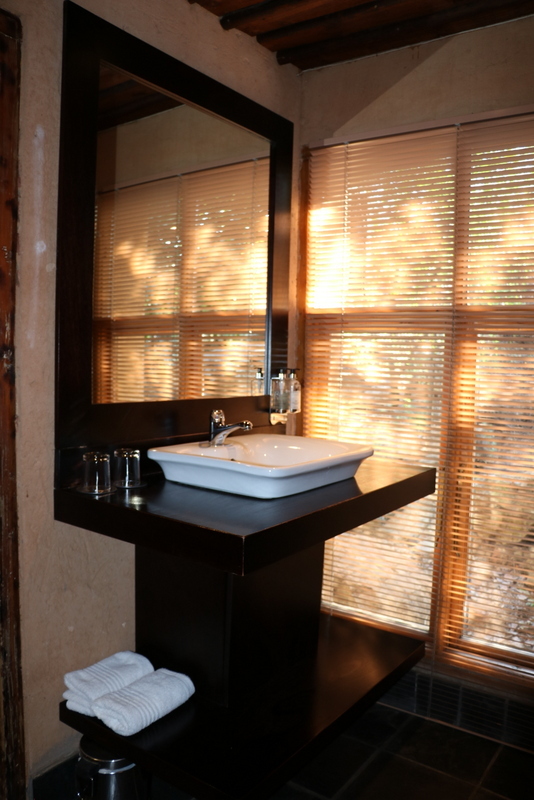 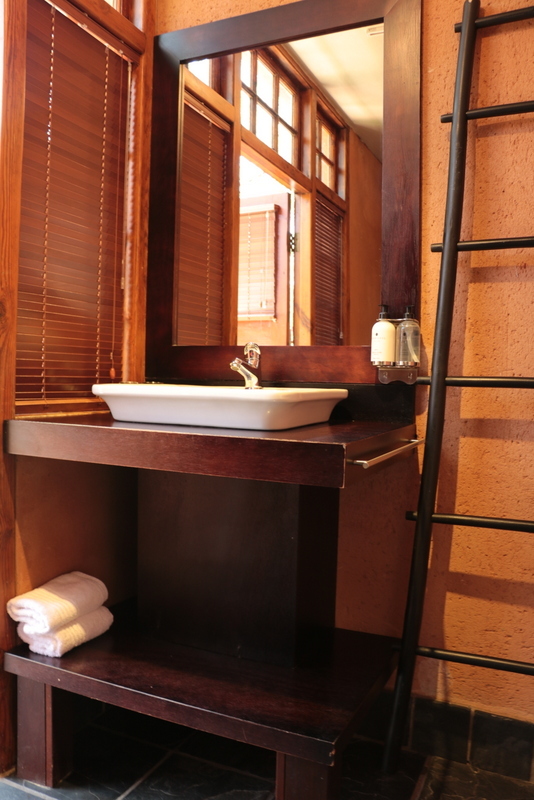 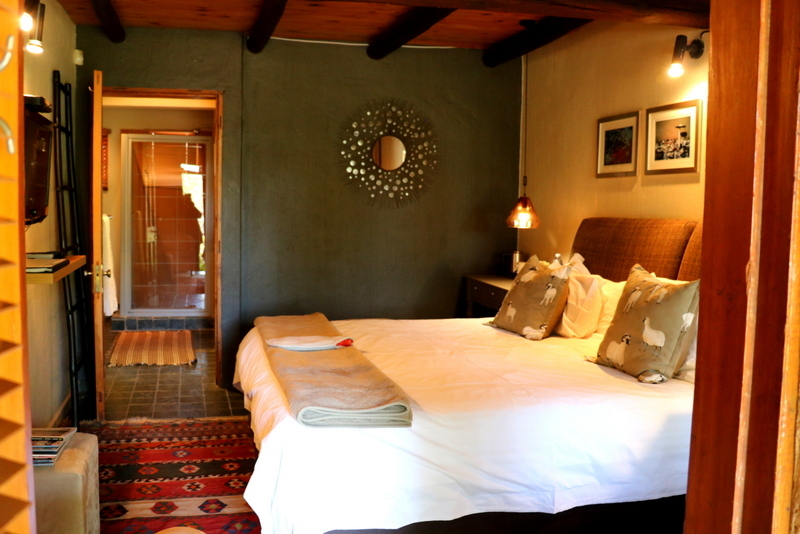 Sherewood Lodge offers 9 luxurious rooms (all named after the trees growing on the premises), decorated in an urban-rustic style with warm African colours, in a variety of sizes for your comfort. 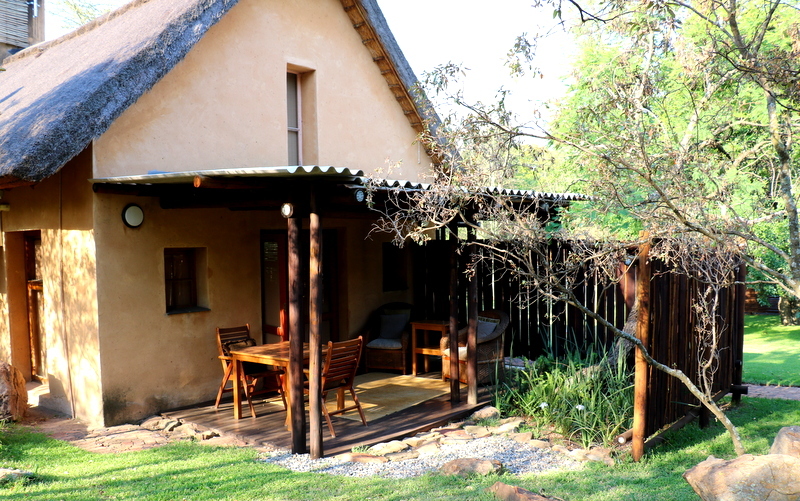 Guests can enjoy the outdoor swimming pool, as well as cosy enclosed boma facilities. 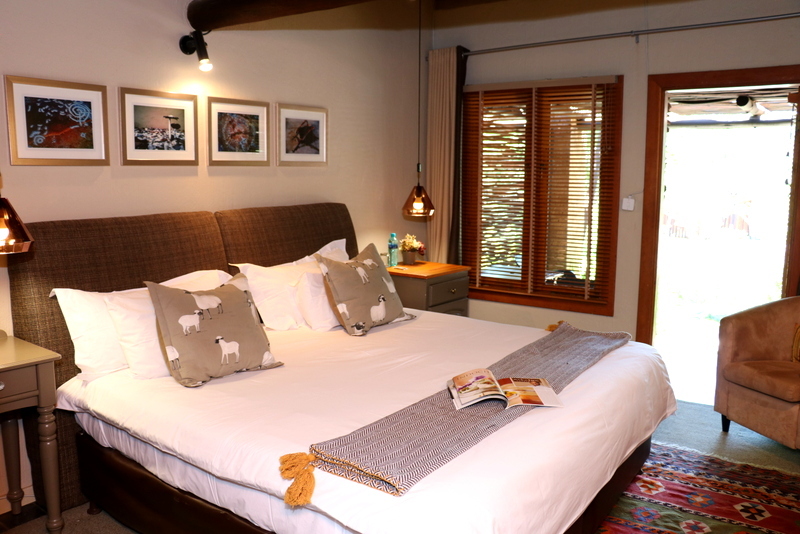 These Luxury Rooms have independent entrances with small, private patios and sweeping views of the luscious garden and pool area. 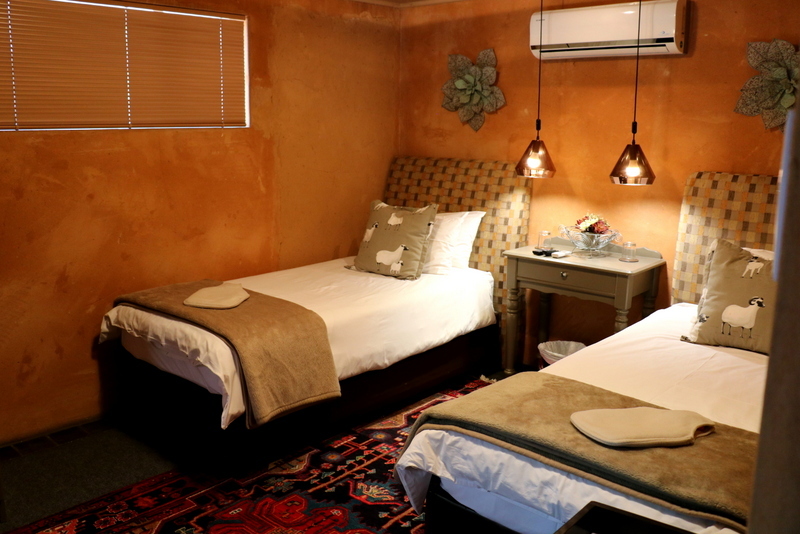 The spacious, bright rooms have twin beds. 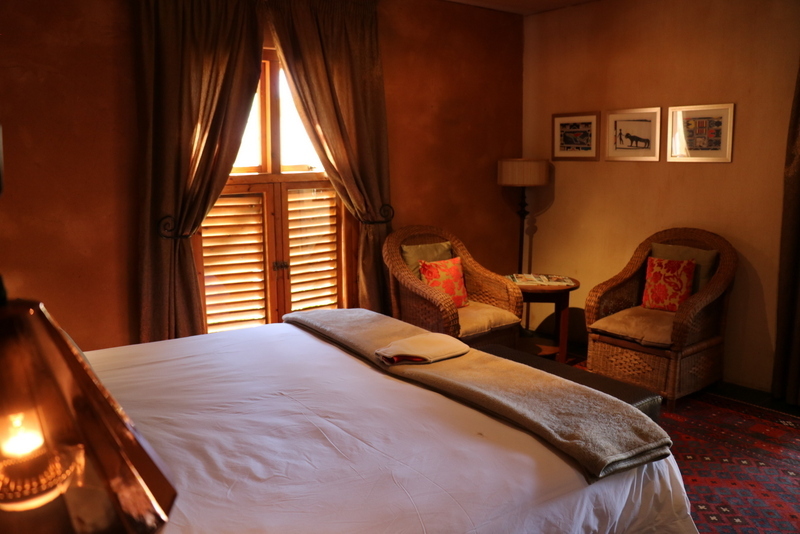 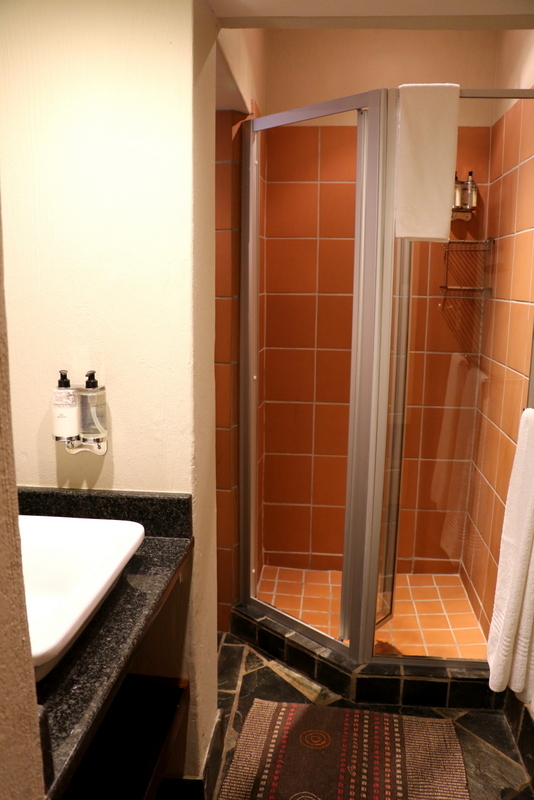 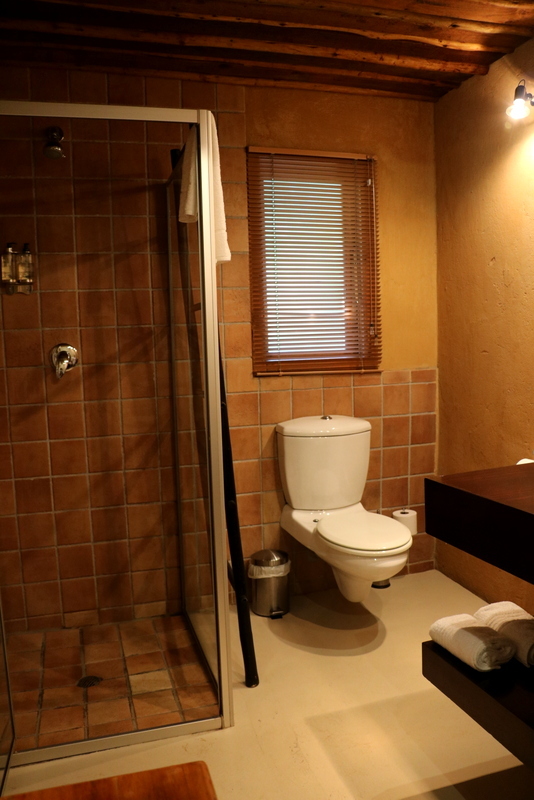 Warm, inviting and designed for your comfort and convenience, the Premier Rooms are larger than the Luxury rooms. 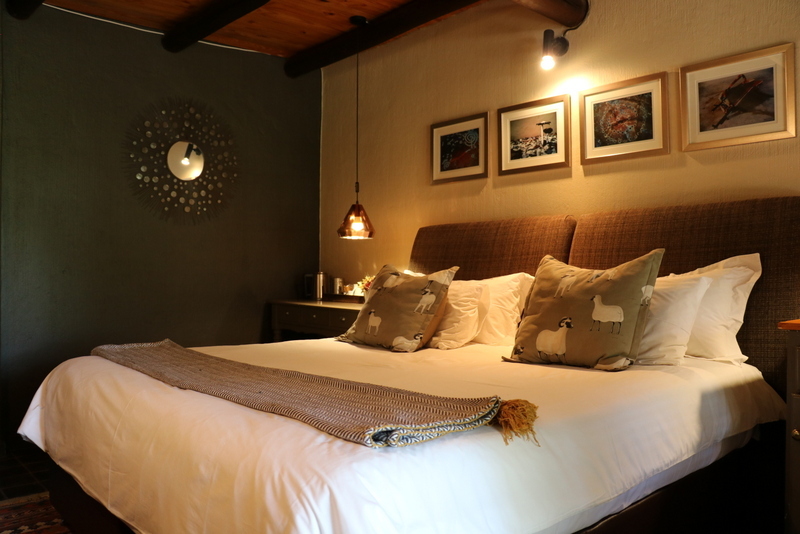 These spacious rooms incorporate both luxury and comfort making your stay at Sherewood as comfortable as possible. 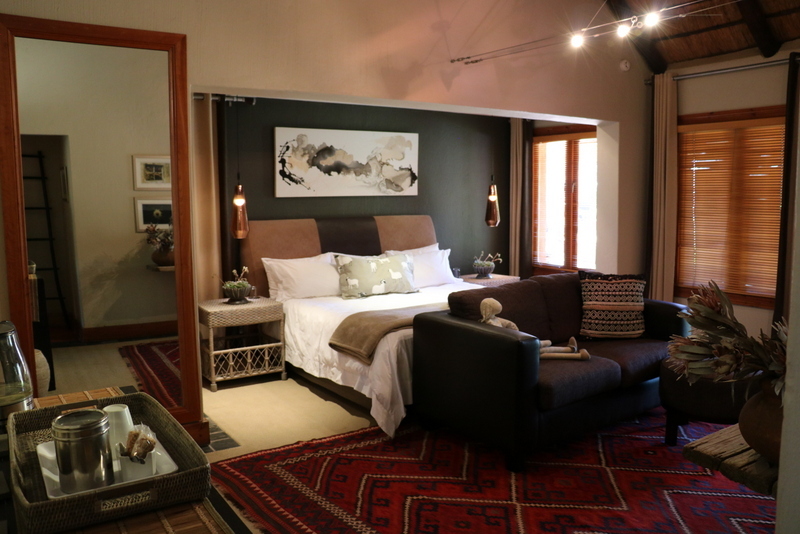 The decor delicately blends dark woods and textured fabrics to convey a sense of urban-rustic elegance. 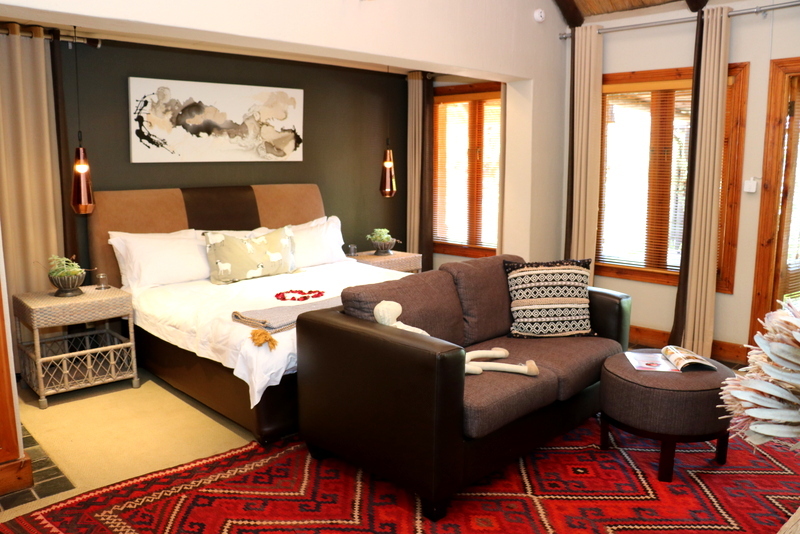 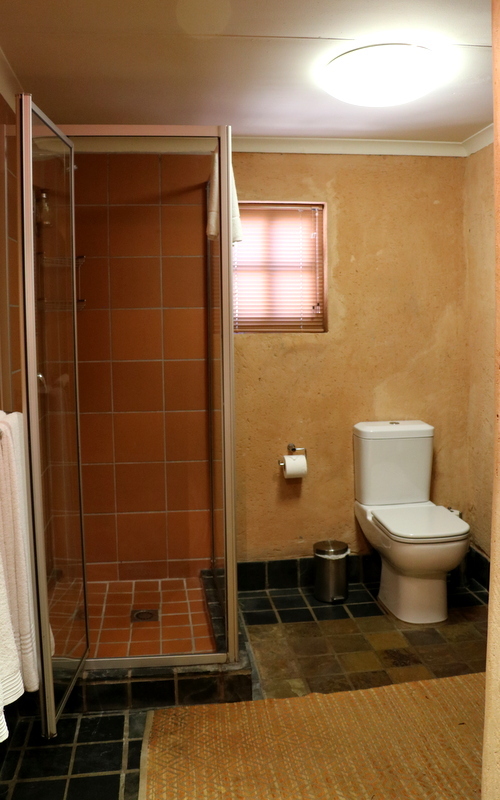 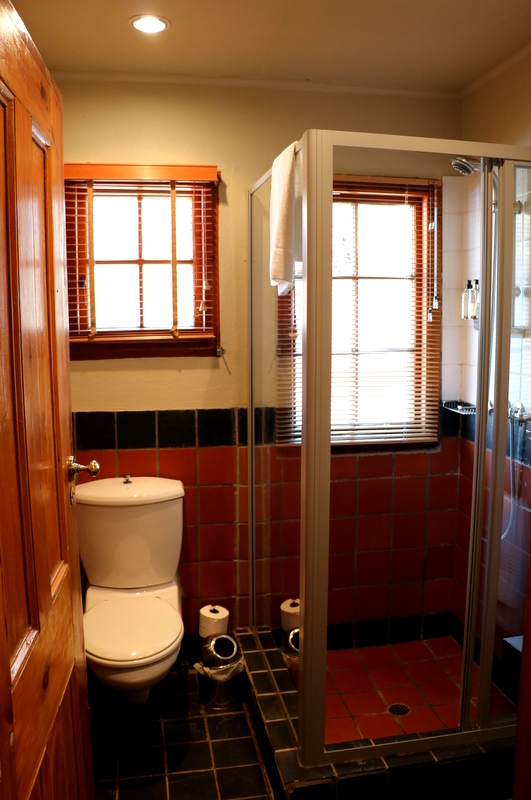 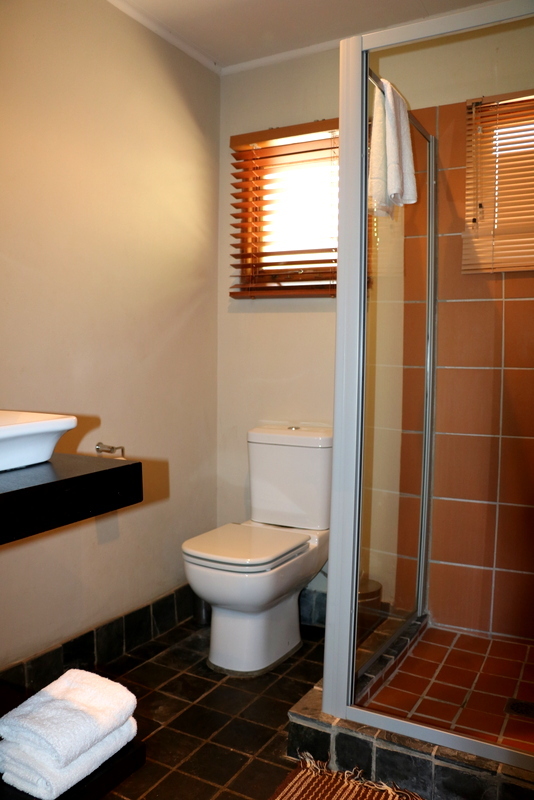 Sherewood Lodge offers 1 Executive suite. 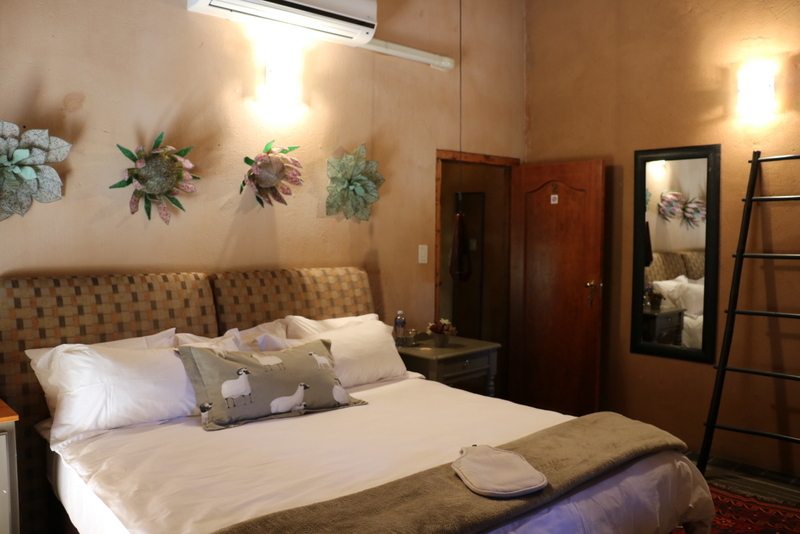 This suite is welcoming and comfortable, ideal for those who travel for work or leisure, looking for a harmonious and relaxing environment. 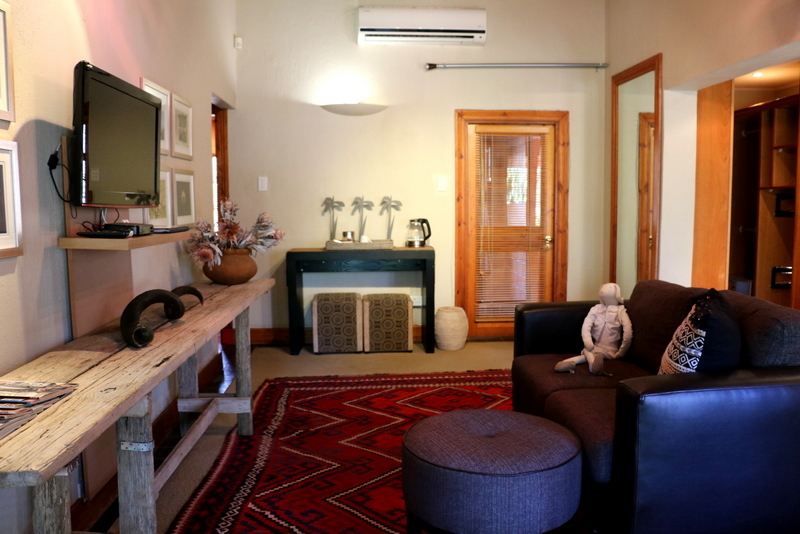 The suite is separate from the main lodge with an independent entrance and is hosted in a semi-separate cottage with a secluded cosy garden view terrace, offering complete privacy. 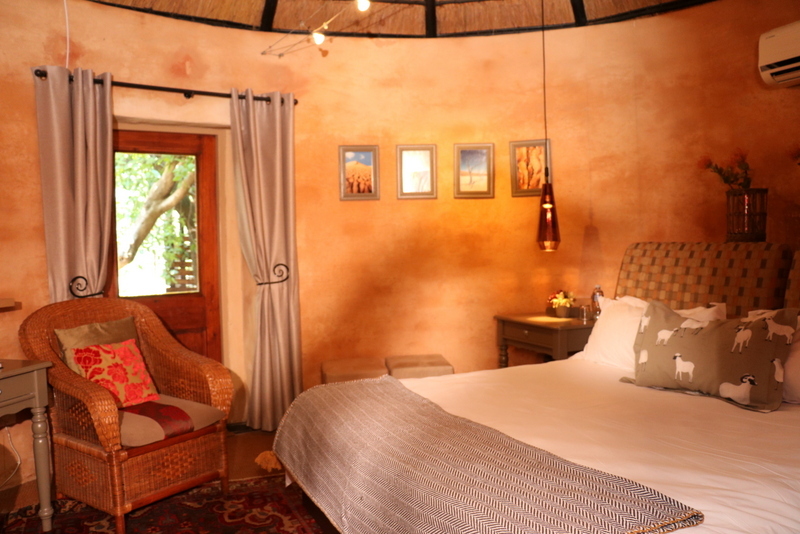 The richly appointed Honeymoon Suite promises an unforgettable experience. 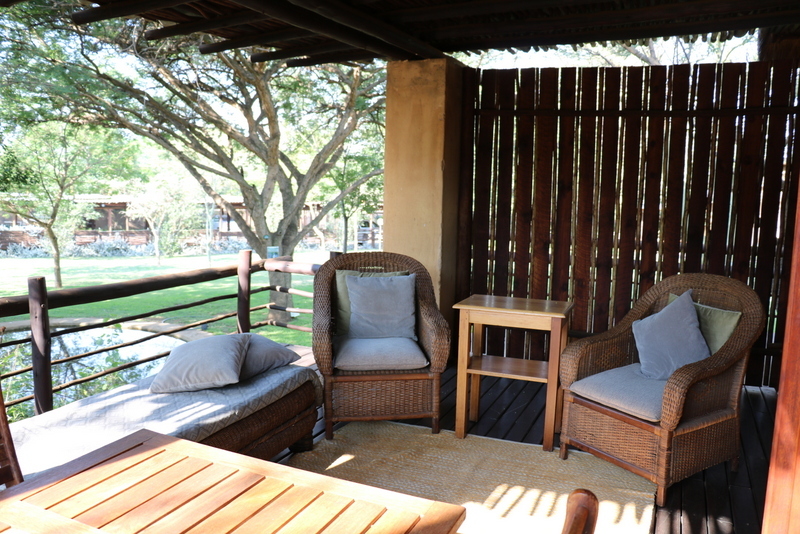 Fever Tree offers the perfect sanctuary for couples, away from the city noise. 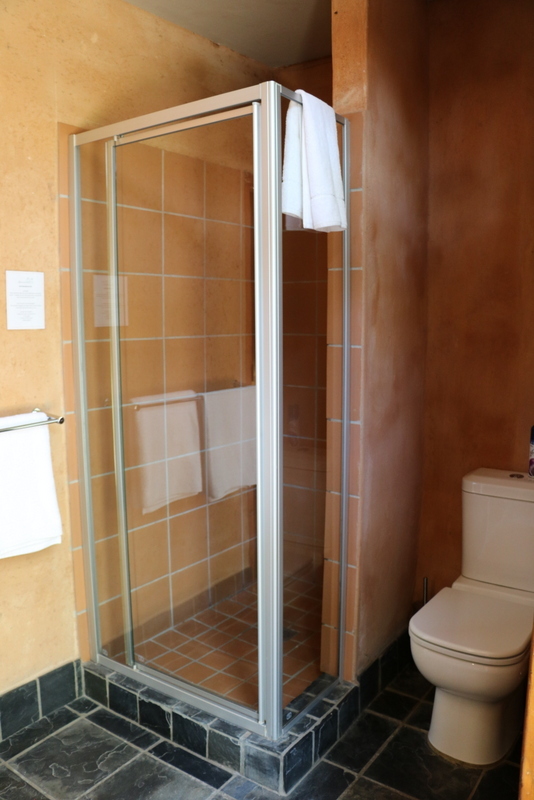 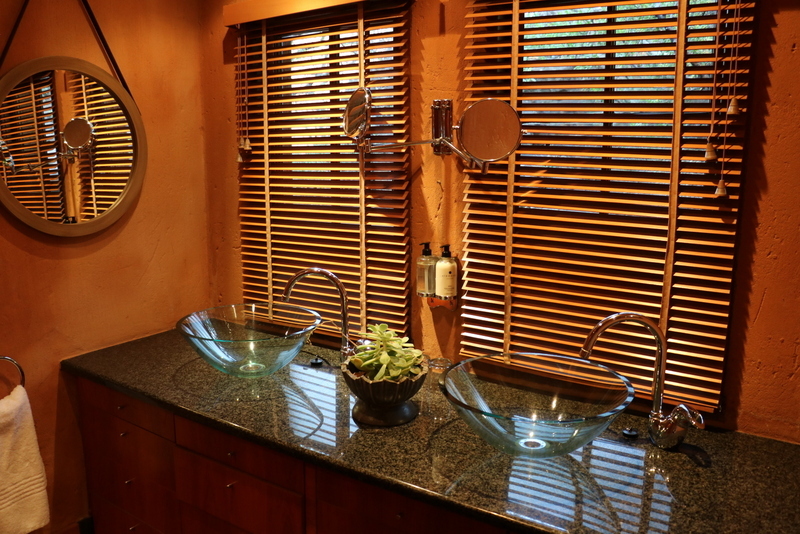 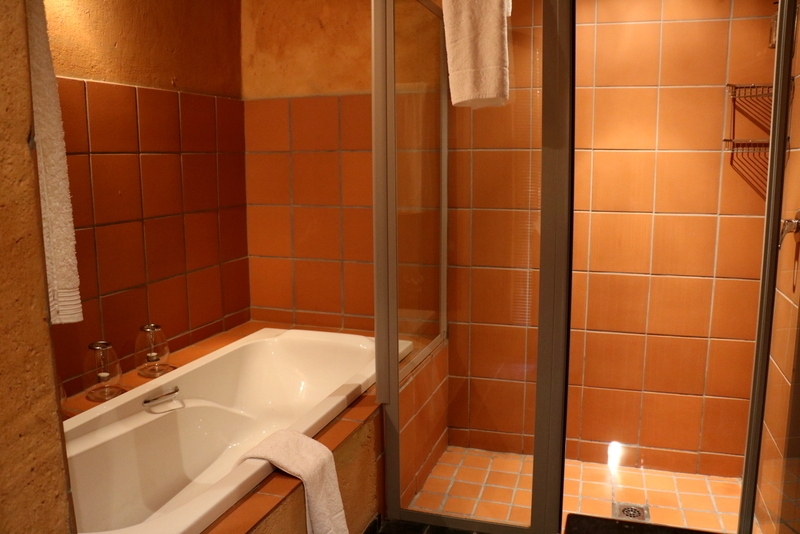 Luxurious amenities include a double shower and spa bath overlooking the rocky landscape. 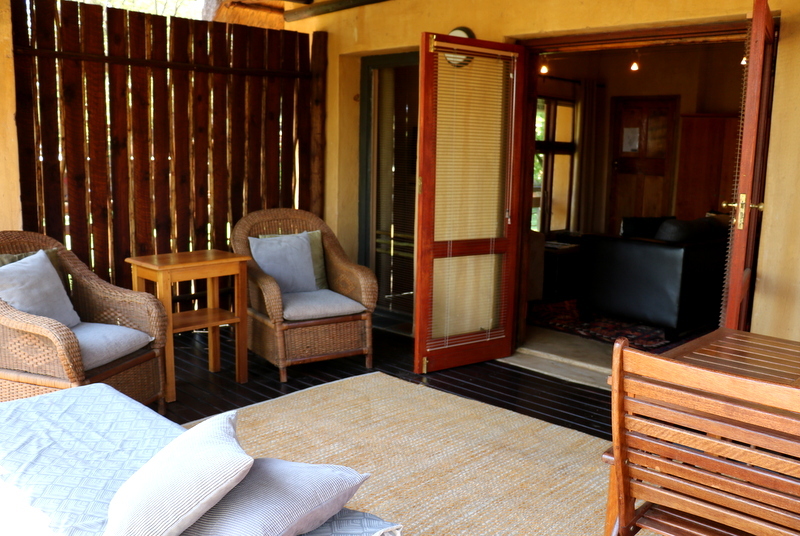 The suite offers an independent entrance and has a beautiful, private gazebo with sweeping views over the indigenous garden, the perfect place to relax and enjoy the fresh bush-veld air together. 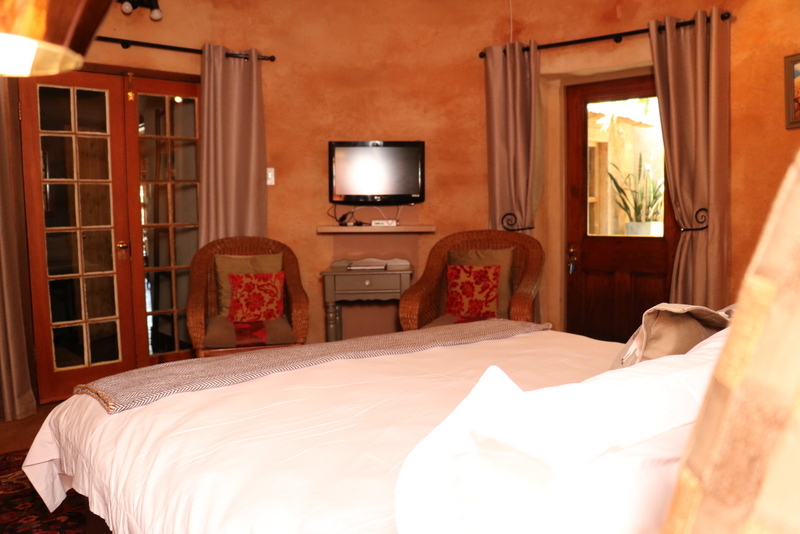 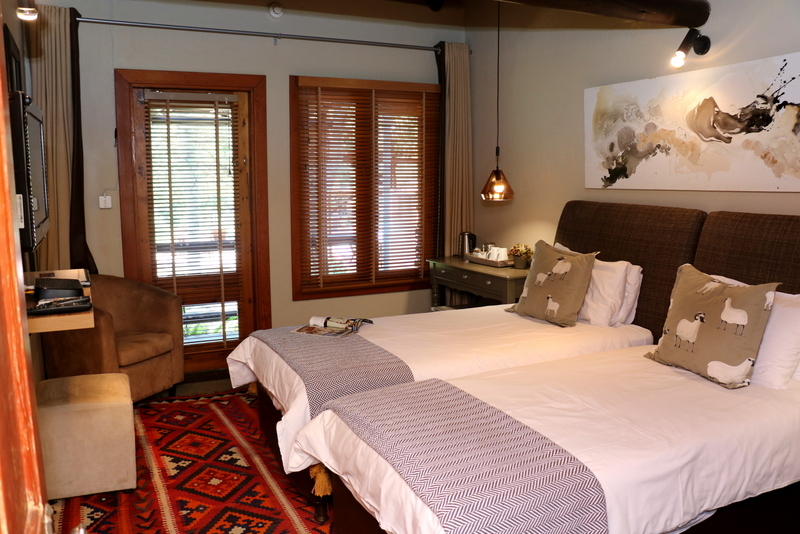 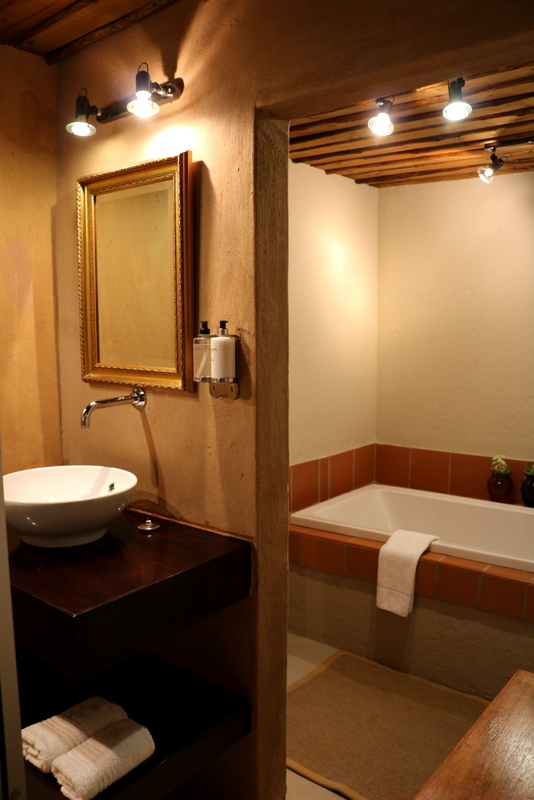 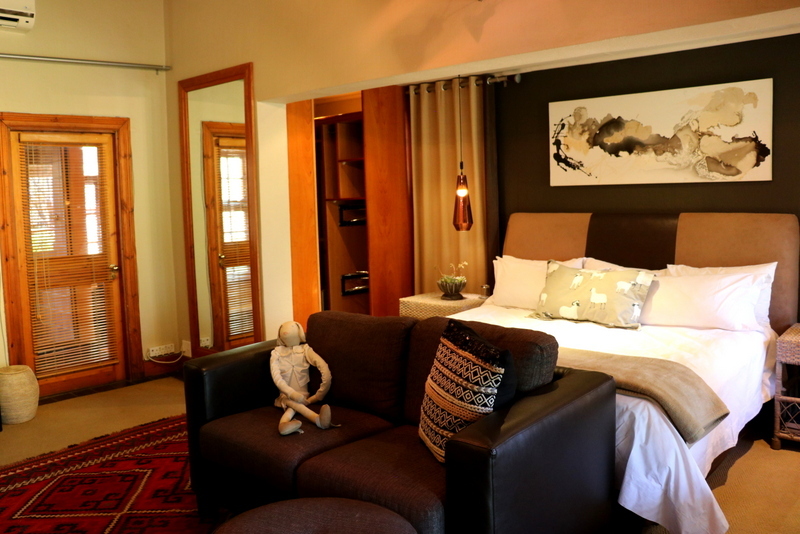 The Honeymoon suite offers the perfect private sanctuary for couples, away from the city noise. 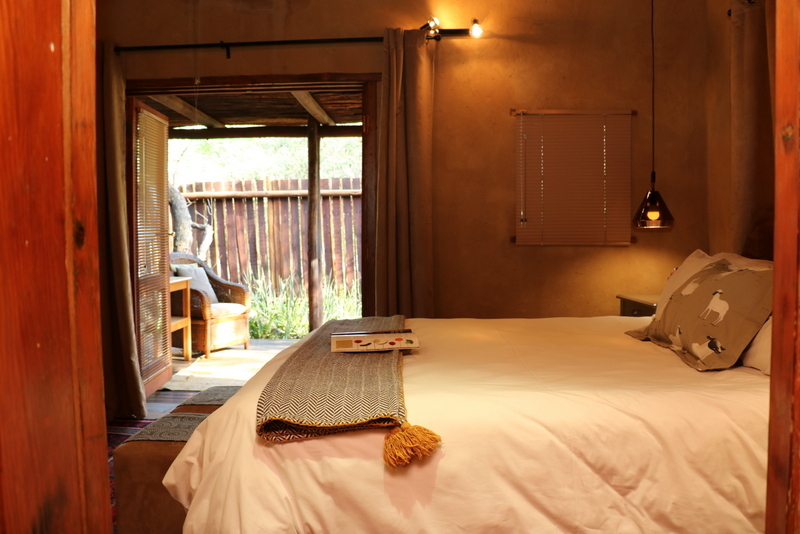 The semi-separate cottage hosts a spacious and well-appointed Honeymoon Suite that recognises the essential elements of light and space. 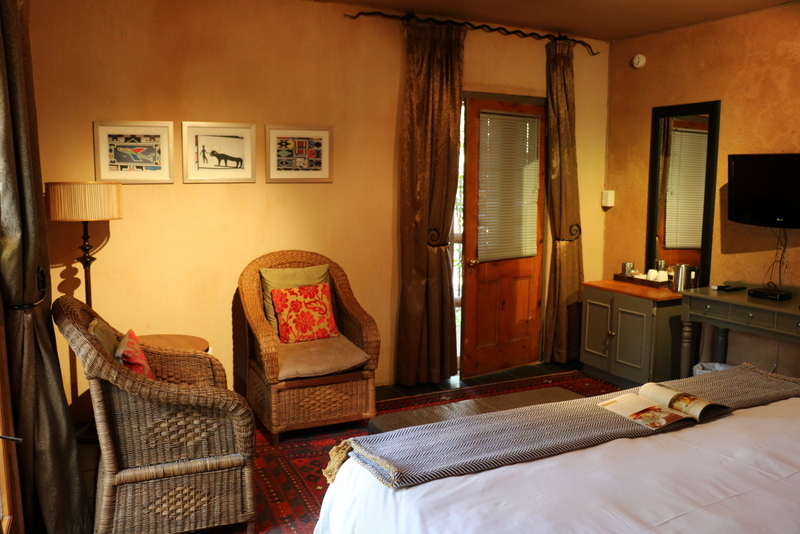 The Camphor suite has an independent entrance and a beautiful private wooden deck with sweeping views over the indigenous garden and duck pond. 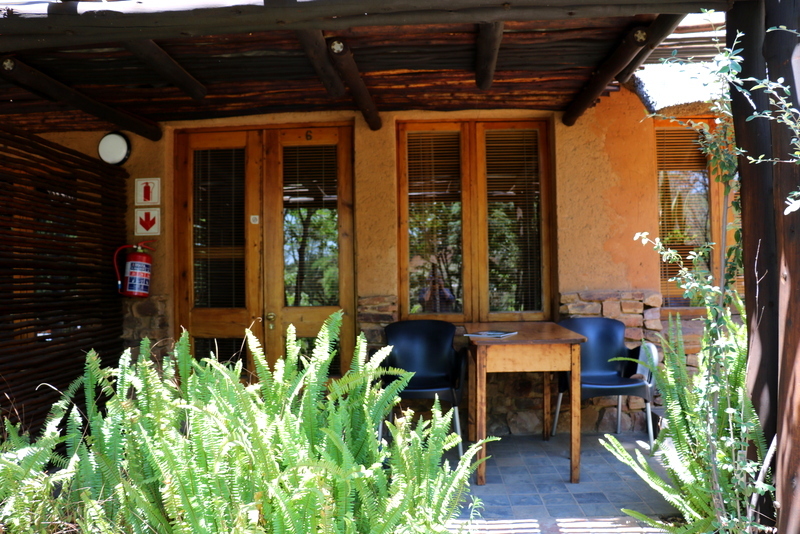 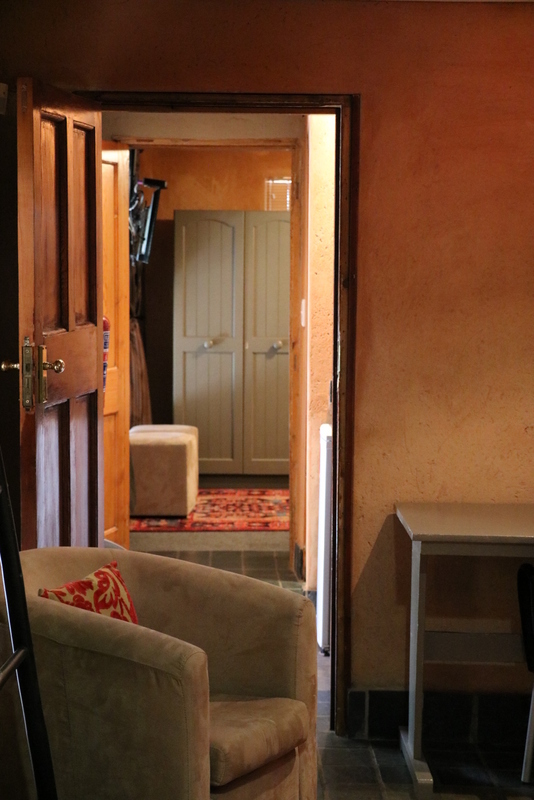 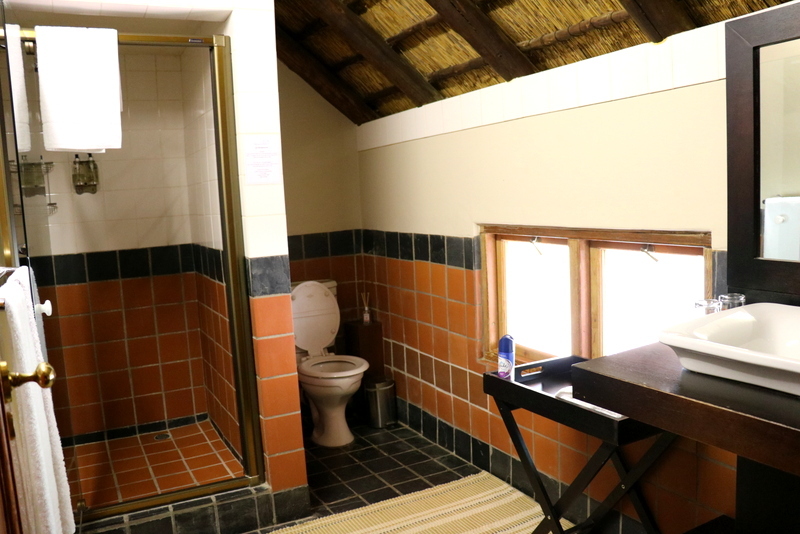 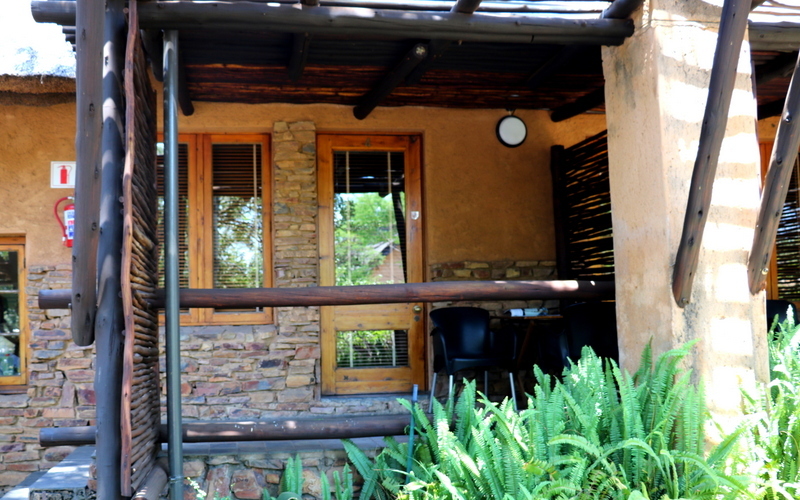 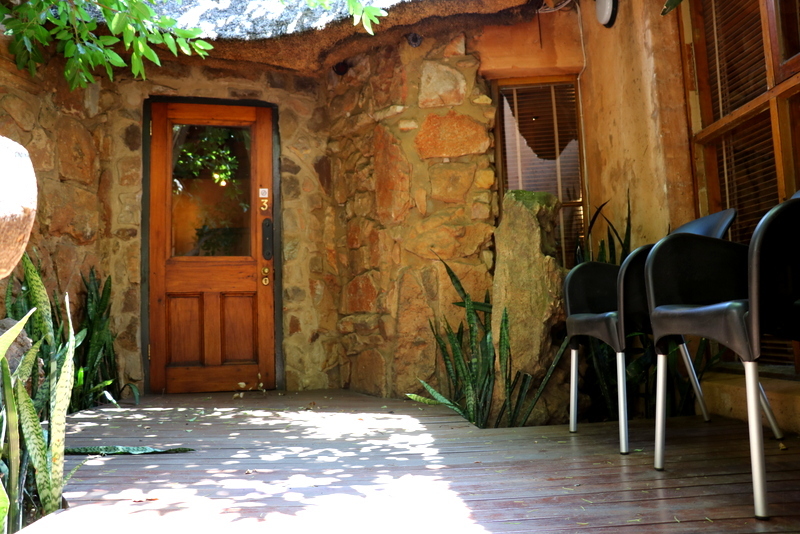 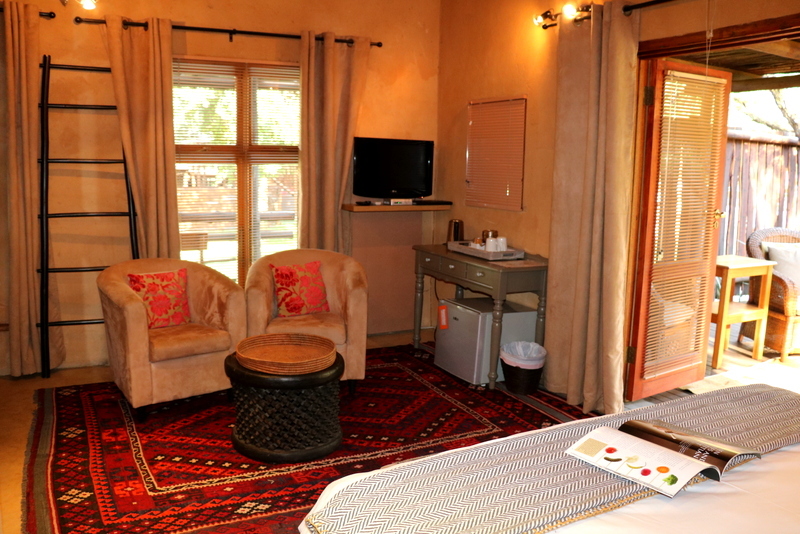 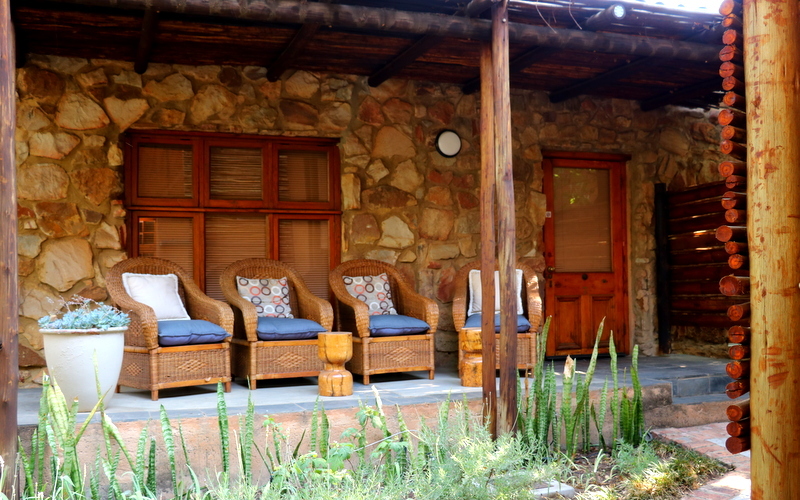 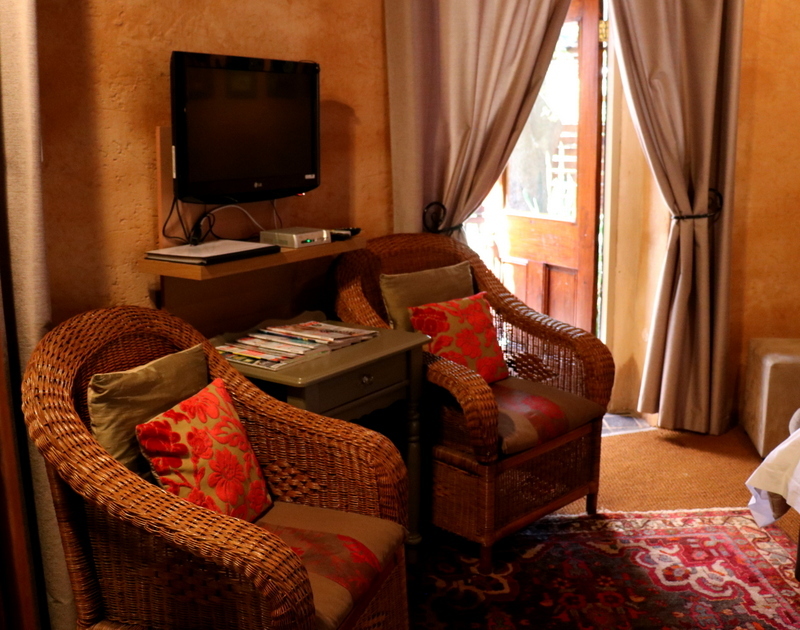 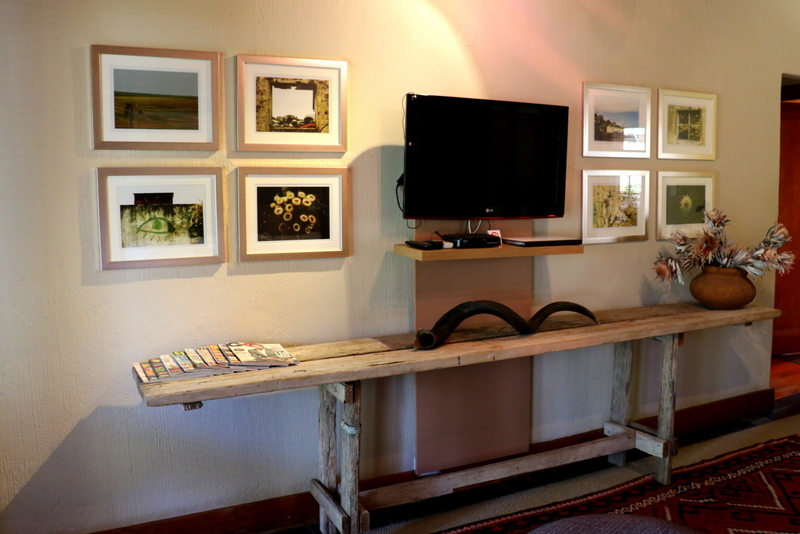 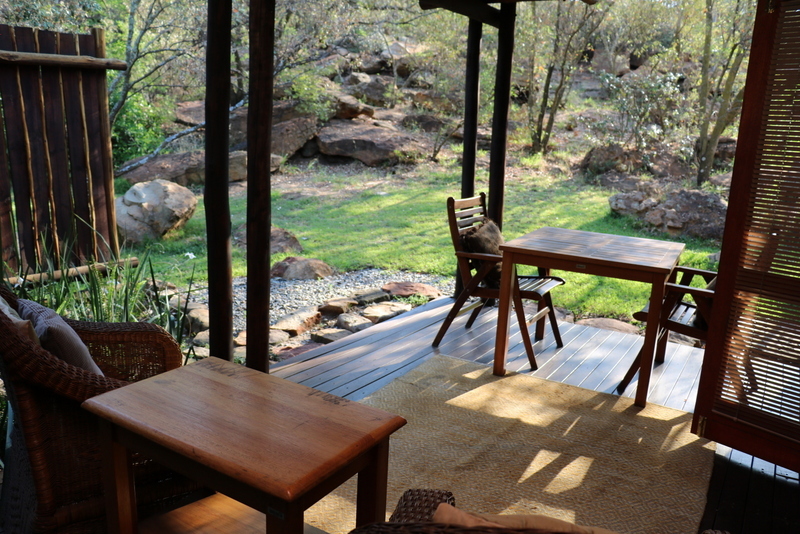 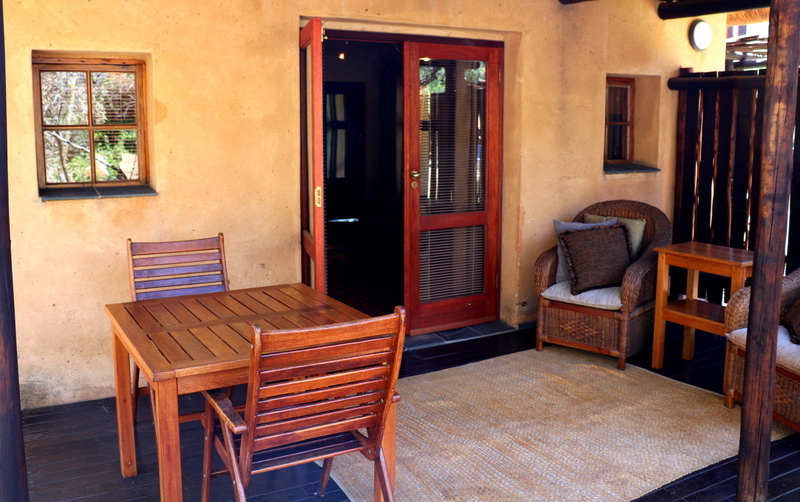 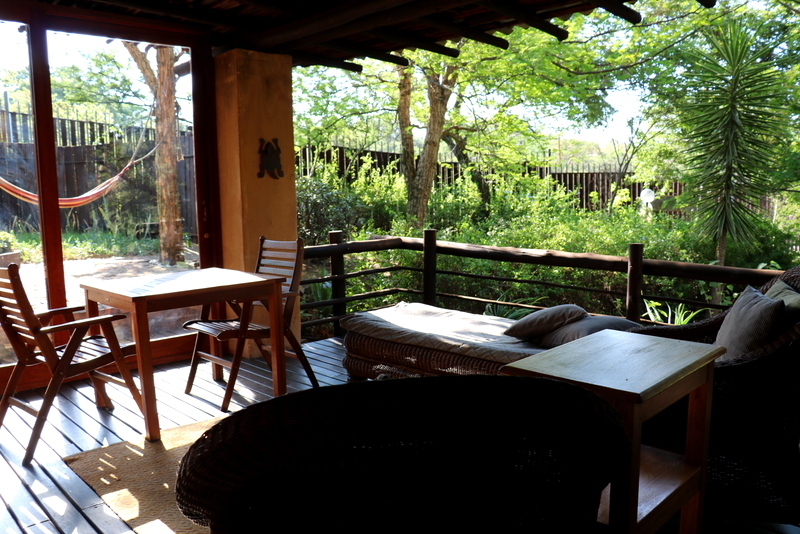 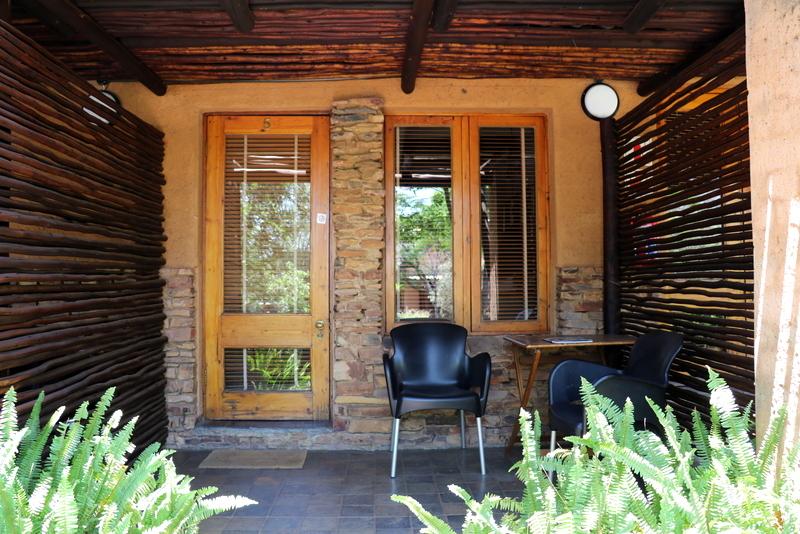 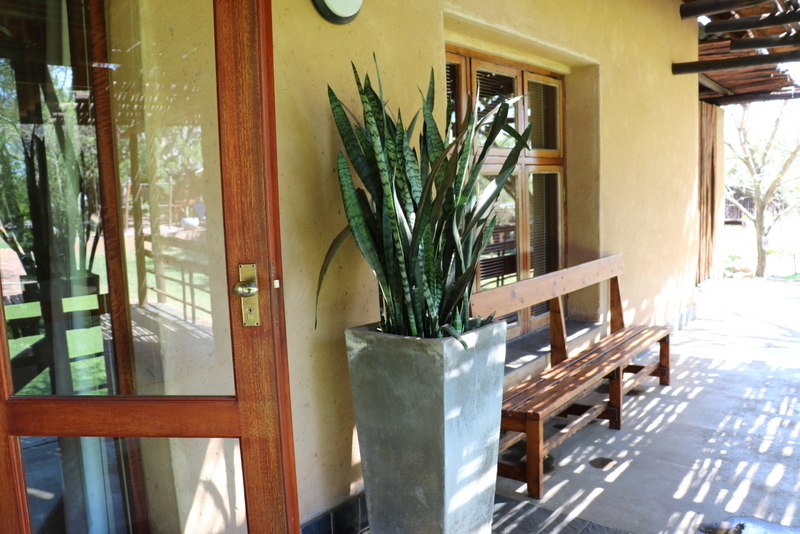 It is the perfect place for relaxing or indulging in a book and enjoying the fresh, bush-veld air. 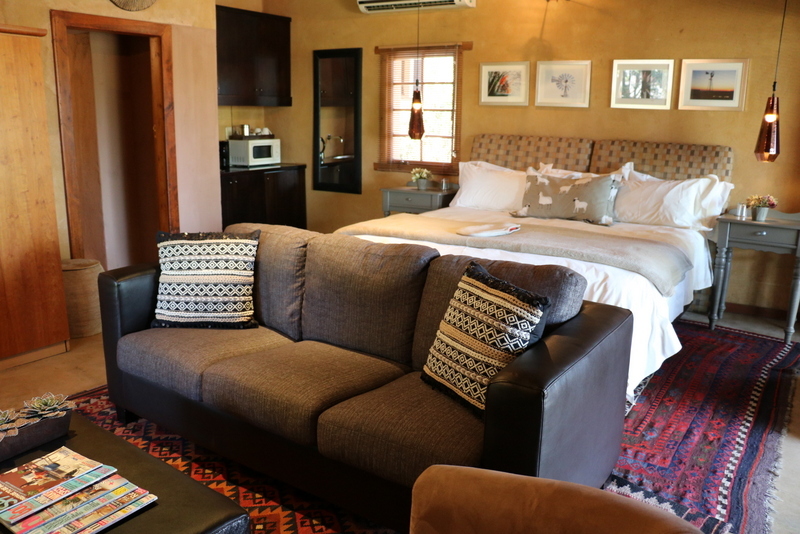 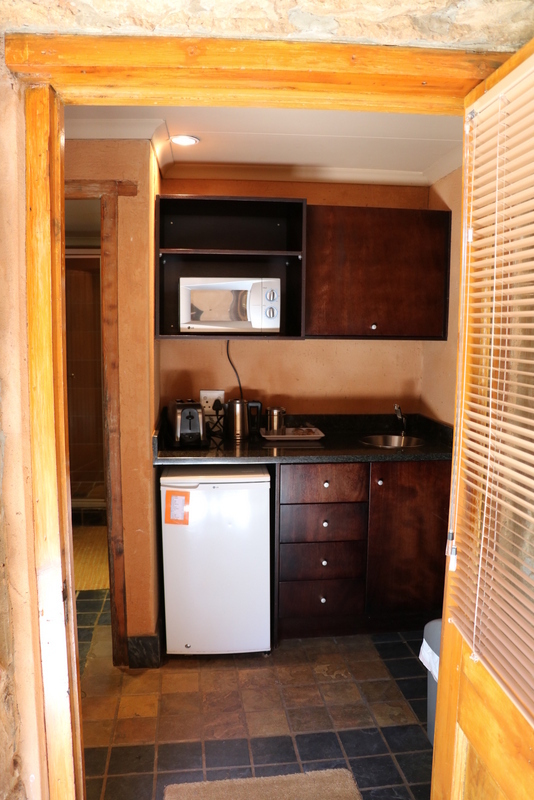 Spacious and comfortable, the Family Suite is the perfect choice for families or a group of friends of up to 4 people. 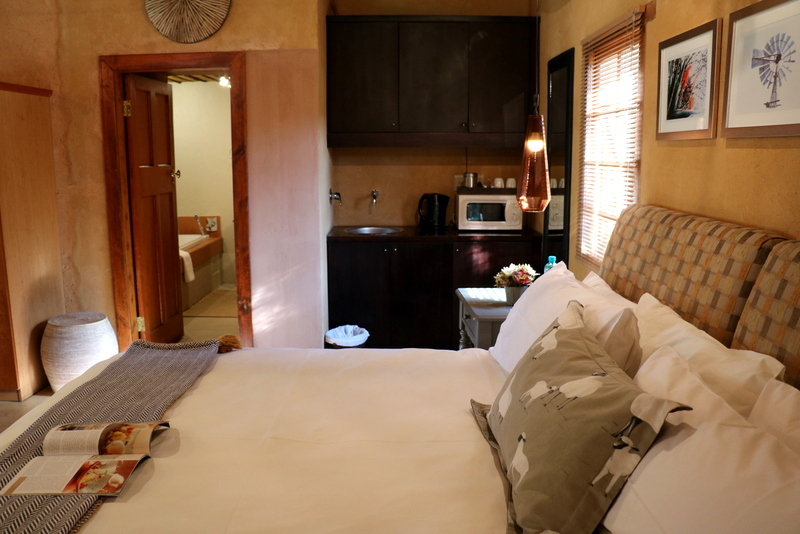 Consisting of two bedrooms, a shared bathroom and a kitchenette, this suite offers the perfect retreat from the bustling city life. 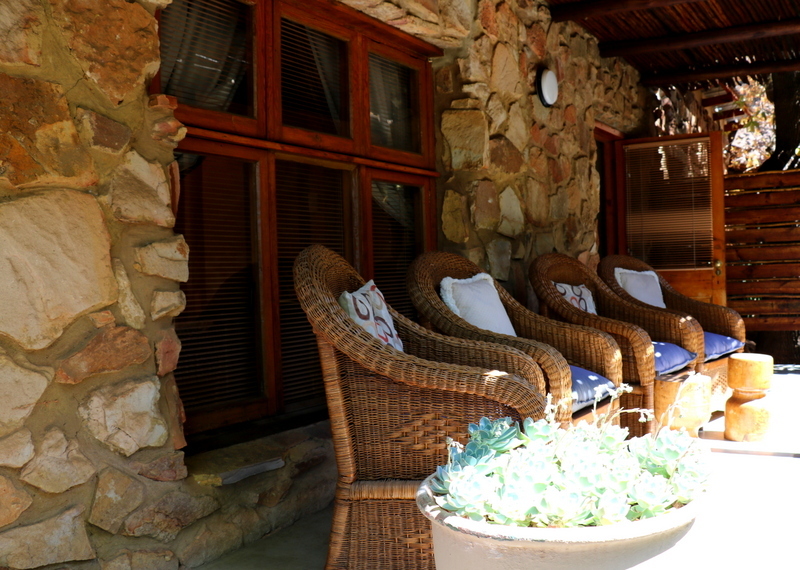 It has an independent entrance and offers a beautiful, private patio, which makes it the perfect place for indulging in a book or sharing tranquil moments in good company.